On Saturday, November 10th, lighting designer Kasper Lange turned to a large Martin MAC rig that included Martin Professional’s new MAC Viper Profile for the 2012 Danish Music Awards at Forum in Copenhagen. 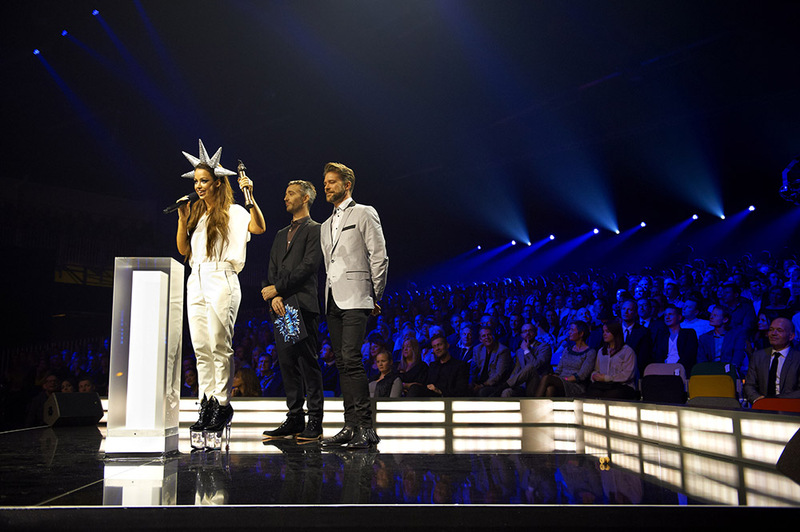 The event, broadcast live on Danish station TV2, honored Denmark’s top musical names of the year with performances from Nephew, Outlandish and many others beneath a mix of Martin LED and HID sources. The lighting setup, which also included 150 compact MAC 101 used as audience lighting, along with other MAC luminaires, was one of the first shows in Denmark to use Martin’s new 1000 W MAC Viper, which Kasper integrated as background light for the presenter podium. “We needed a small and powerful lamp that could cut through the massive audience light. The problem with such a small and powerful lamp is that the rest of the production tends to look less impressive,” Kasper quipped.